Looking for a venue to host your weekly conferences, business meets or training day? Settlers Run is the place for you! Located just a leisurely 45 minute drive from Melbourne’s CBD and around the corner from the Mornington Peninsula. Settlers Run offers your guests a central location to all meet. When you arrive to your event you will instantly feel relaxed and rejuvenated. Greeted by one of our event team members, we will ensure you have everything you need. Enjoy the views across the golf course as you breathe in the fresh air. The wall to ceiling windows and picturesque surroundings will turn the dreaded conference into a pleasant experience. Catering is arranged fresh on the day to ensure our high quality is sustained. You can enjoy freshly baked scones in the morning, a hot plated lunch of your choice followed with fresh fruit to conclude. We offer a variety of function/meeting rooms together with all the audio/visual equipment you require. 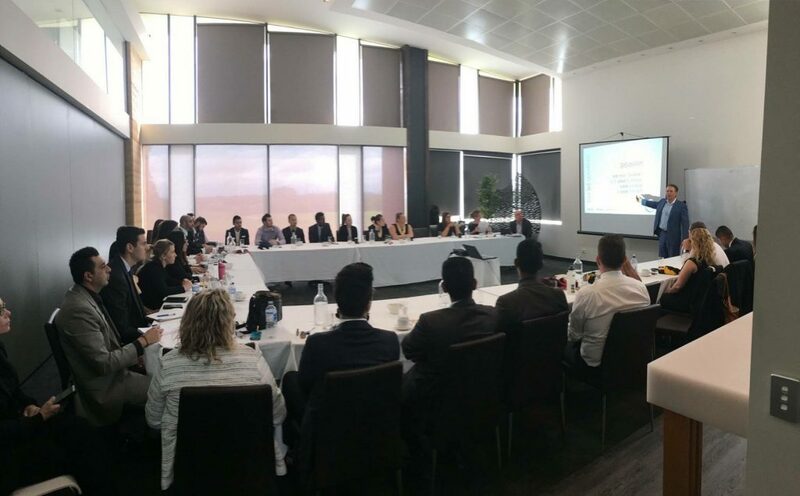 We have different room shapes and sizes, Settlers Run can comfortably accommodate small business meetings in a private setting, as well as having the capability to cater for larger groups of up to 150.